It’s a joint collaboration of Department of Science & Tchnology and Shrushti Seva Samiti. 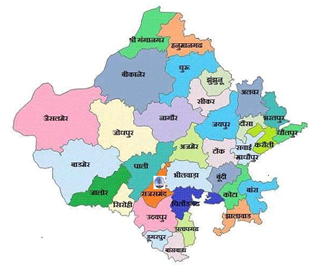 For overall improvement in the quality of life in rural areas by providing simple low key technological interventions the department selected us a focal points to act as Science & Technology Resource Centres in Kumbhalgarh block of Rajsamand district. This Science & Technology Resource Centers are established with an objective to disseminate useful scientific and technological knowledge at the grassroots level. This center since their inception are acting as a catalytic agent to disseminate appropriate need based technologies and providing technology back up and support services at village level in coordination with various scientific and research & development institutions for low key technology adoption by the community. 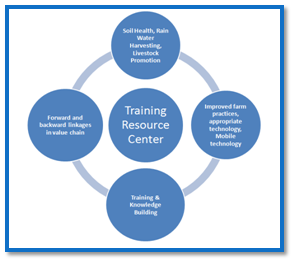 To develop training resource center for promoting integrated and sustainable agriculture for economic and environmental security. To establish integrated sustainable farm and learning adopted among the farmers communities within and beyond the target area. To promote natural/organic farming practices in the target region through demonstration, trainings, workshops etc. Improving the soil & Water health by promoting organic farming techniques. Promoting appropriate technology related to farming or animal husbandry. Establishing or setting up a value chain for enhancing access of small & marginal farmers to market and credit. Promoting digital literacy among farmers & their families to improve their skill.